Losing your phone is probably the worst thing that can ever happen to you. Wait a second! It has already happened to you. Well, that’s why you Googled “How to track a lost phone?” and landed up here. Am I right? If yes, then I can assure you that you are at the right place. Please read on. Not your story? Still, please read on. Yes. Save it, bookmark it or print it and keep it in your pocket, in your backpack or in your locker. Because you will need it in the future if you lose your phone and you’ll need it real quick. Here I am going to share with you all the possible and best ways to find your phone in case it gets lost or stolen. Secondly, there are a lot of apps in the Google Play Store which can prove to be handy in tracking your phone. I’ll be sharing with you which ones are the best. Thirdly, I’ll also be telling you what to do if nothing works out. 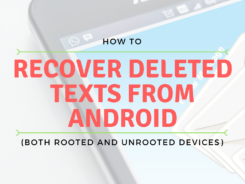 In the later section, I’ll share with you what are all the things which you should do before your device actually gets lost. I’ve also covered some FAQs on finding a lost/stolen phone. Be sure to read that out as well. 2. 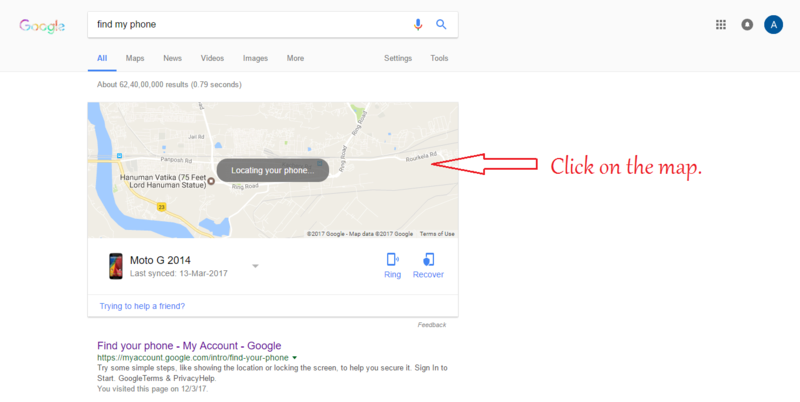 In the google search box, type “find my phone” and hit enter. 4. This will take you to the Android Device Manager. For those of you who don’t know what Android Device Manager (ADM) is, it is a tool which lets you locate, ring, lock or wipe your device remotely from the web. You can know more about Android Device Manager from here. 5. In a matter of few seconds, ADM will come up with the location of your device. It will also provide you the time it was located, location accuracy range (in my case it is 20 meters) and when was the last time your device was connected to the internet. If you happen to have multiple devices connected to your google account then you can select the one which is missing from the drop-down list. 6. 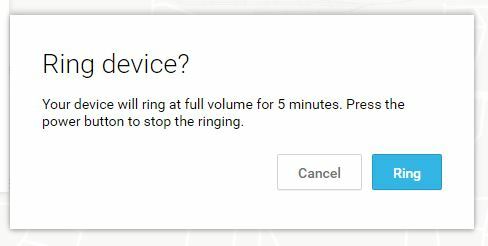 Apart from locating your device, the Android Device Manager also lets you ring it at its full volume for five minutes (even if your phone is silent). You would like to use this command if you are at the location but still can’t find it. 7. You rang your device but still couldn’t find it. The next ‘essential’ thing which you should do is to lock your device. Locking your device will ensure that the finder will have no access to your device. Instead, he will be seeing a password protected lock screen. You can leave a recovery message for the finder, something like, “I’ve lost my phone. Please call the number below. Thank You.” along with your contact number. This is an essential step as it will keep your phone safe and secure. 7. You haven’t found your phone yet and neither have you received any calls. Now the wise thing to do is to erase all the data from your device. And you can do so by clicking on the ‘Erase’ button. 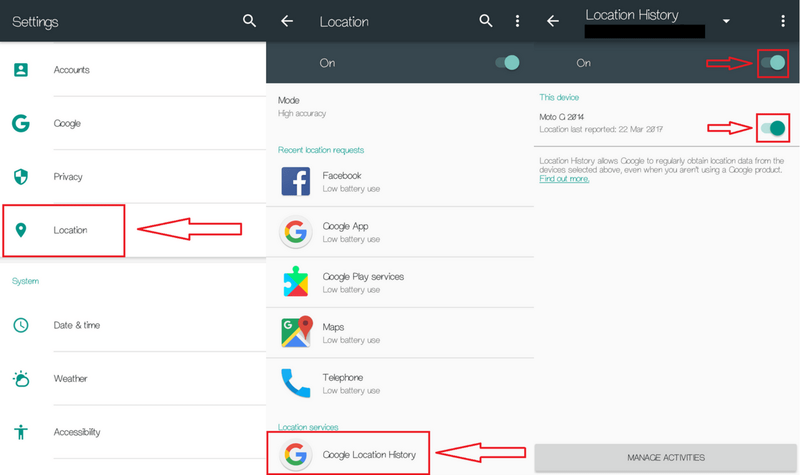 a. Android Device Manager will no longer be able to locate your device after you’ve erased your phone. b. Only the data present in the internal storage of your device gets wiped out. The SD Card contents will still be there. c. Erasing will only happen if your device is connected to the internet. 3. 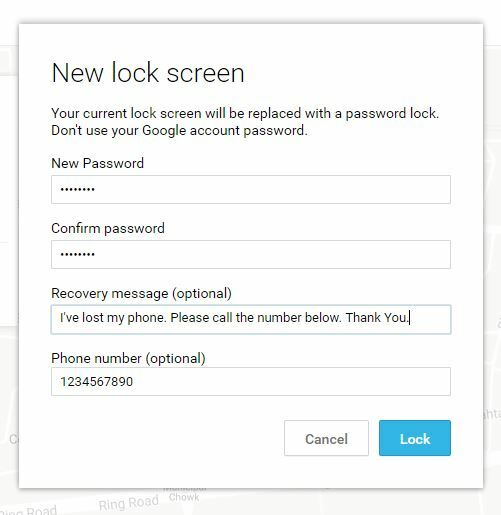 If your device’s lock screen is not protected and your thief factory resets your phone, then google won’t be of much help. Since your device will no longer be linked to google account, Google won’t be able to trace it. 4. The Android Device Manager will work only if your phone is connected to the internet. Until then, Google will show the last location where your device had an active internet connection. It will be updated once the device is connected to the internet again. 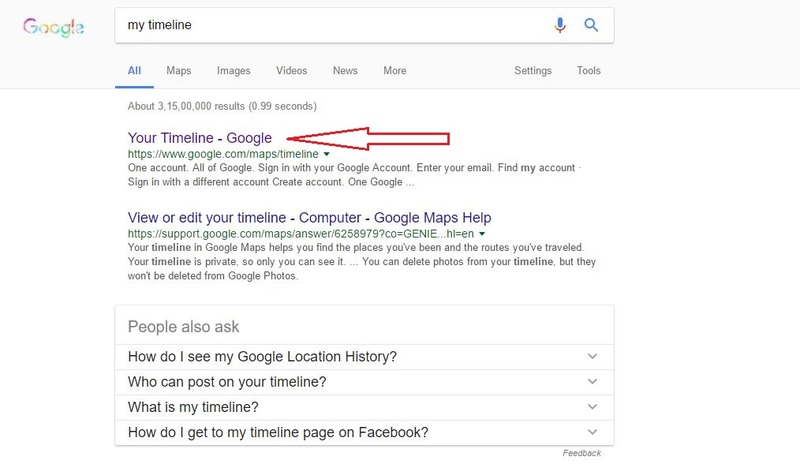 Google might also be able to help you in case your device is switched off or has no internet connection with the help of Location History, also called ‘Timeline’. 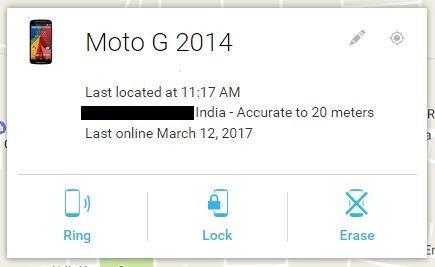 How to use Location History/ Timeline to locate your device? The ‘Timeline’ keeps track of all the places you’ve visited with your phone. It’s like an automated journal which records all the places you’ve been to and on what date. For this to work, the Location History must be turned on beforehand. 1. Go to google.com and sign in with your google account. 2. In the google search box, type ‘My Timeline’ and hit enter. 5. Select the date from the upper right corner. 6. Google will then come up with a map showing all the places you went, your mode of transportation and how much time you stayed at a particular place. It totally works like a detective. If your thief has not yet performed a factory reset on your phone, then google will surely track down all the places your thief has gone to with your device. And you’ll know the whereabouts of your lost phone. But this will only happen if the device is connected to the internet. 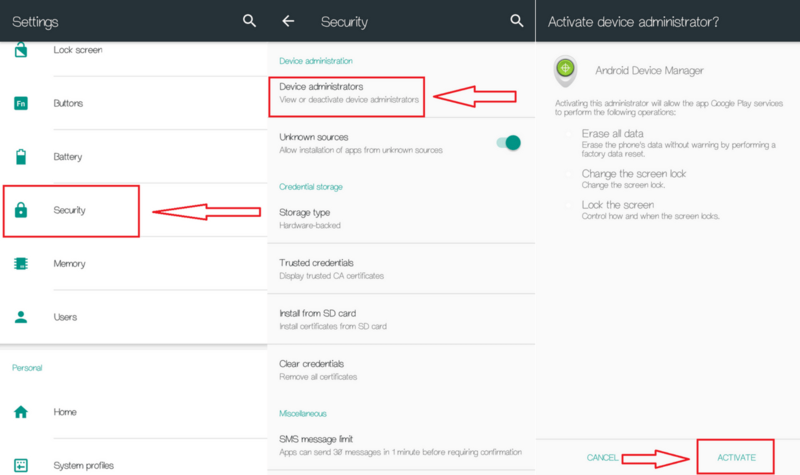 Now, what if the Android Device Manager doesn’t work? You can always rely on third party apps to get your job done. 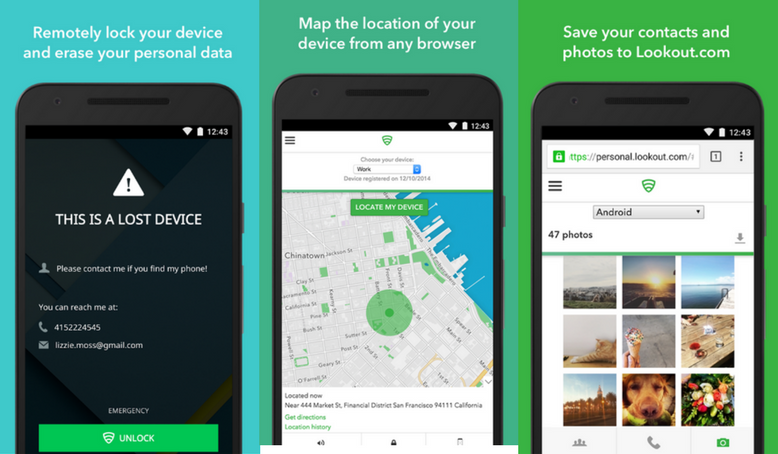 Lost Android allows you to remotely access your lost device through their own website or SMS. 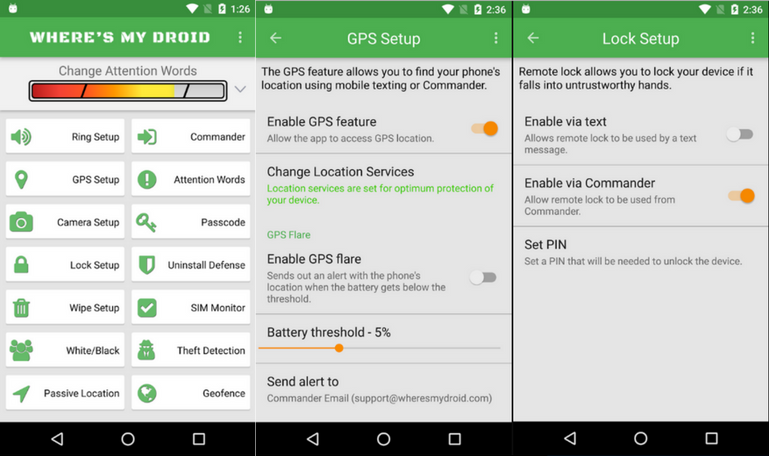 Apart from locating your phone by GPS, it also lets you lock and wipe your smartphone. The app notifies you via e-mail when your SIM card has been changed. You can activate an alarm with a flashing screen, turn on/off GPS or Wi-Fi and record a list of all the calls made or messages sent or photos taken from your device. You can even hide the app from the launcher and thus prevent the thief from uninstalling the app. Along with that, it also allows you to use the phone’s microphone to record voices and take pictures from your device’s rear and front camera. Here’s the link to their website. 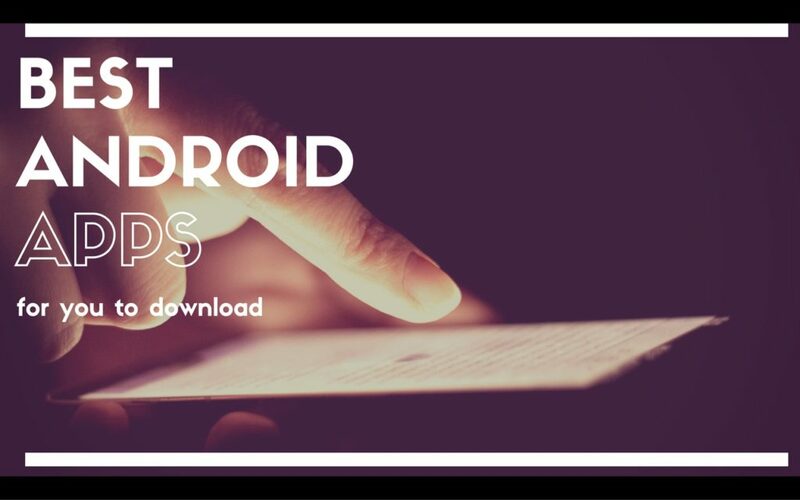 You can download Lost Android from the Google Play Store by clicking here. 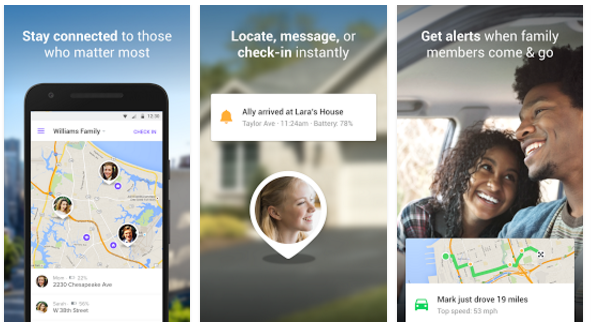 Life360’s Family locator, as the name suggests, lets you keep track of your family members or close friends. It lets you create a group or be a part of a group called “Circles”. You can add as any family members or friends to the circle and get their real-time location. The members will appear as small icons on a live map within the app. The app alerts you in real-time whenever a member arrives at or leaves a destination. Moreover, you can even chat with other members within the app itself. And, obviously, the app will track down the location of the device of any member if he/she happens to lose it. Download Family Locator by clicking here. Cerberus anti theft, much like Lost Android, lets you remotely control your device through the web. You can locate the stolen device, lock it, erase all the data, start a loud alarm, display a recovery message and also make your device speak out the loud the message. Through its website, you’ll be able to take pictures, record videos and audios of the thief. You can also get access to the list of calls made and messages sent through your phone. 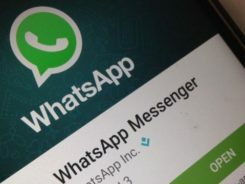 In case your device is not connected to the internet, you can still control your device by sending commands through texts. The advanced features of the app enables you to hide the app from the app drawer. You can get Cerberus anti theft app from here. Prey Anti Theft lets you keep trace of three devices with one single account. The app has pretty much same functionality as compared with the other tracking apps. One area where this app has an edge over other apps is that it is completely free. 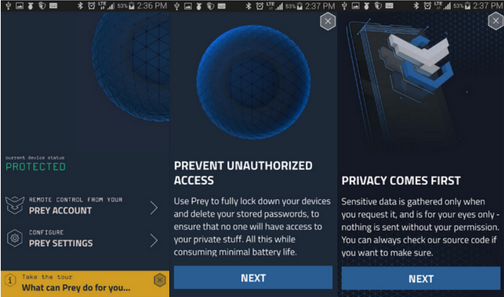 Like all the other apps, Prey allows you to locate, ring, lock and erase your lost smartphone. 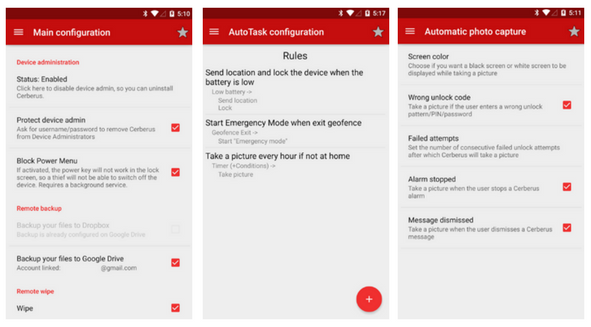 Other features of this app are – activate an alarm, set a custom lock screen message and take pictures and screenshots. Download Prey Anti Theft from Google Play Store by clicking here. Lookout is an Anti-Virus app. Personally, I don’t think that you require an anti-virus for your phone. It is one of the most believed smartphone myth. 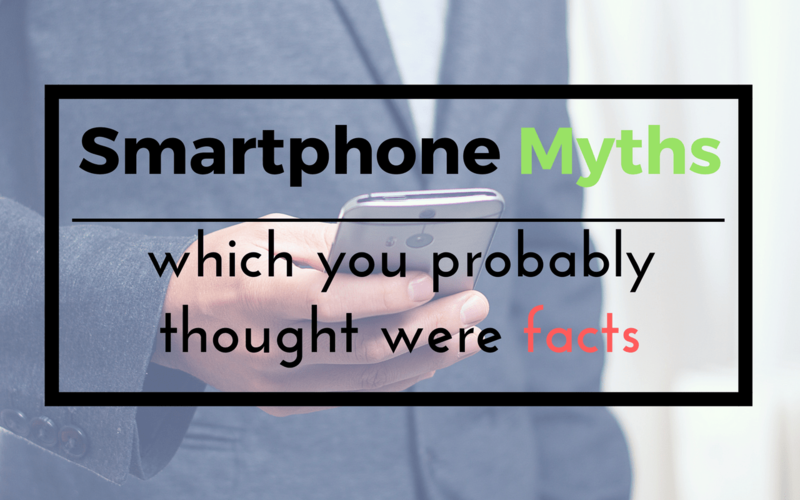 You can also read: Smartphone myths which you probably thought were facts. I am suggesting this app only for its ‘Find My Phone’ feature. The app lets you remotely lock your phone or activate an alarm (even if your phone is silent). It also offers a feature called ‘Signal Flare’, which automatically saves your device’s location if the battery is low. Lookout Security and Antivirus also provides you ‘Theft Alert’ i.e sending you an e-mail with a photo and the location, whenever the app detects any suspicious behavior. 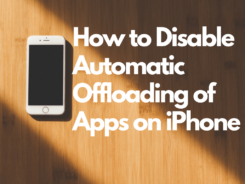 The app’s other features are remotely erasing data, posting a custom message on the lock screen, automatic backups of your contacts and photos. You can download Lookout Security and Antivirus app from here. The app does what its name says and it is good at it. The developers behind the app claim that it was the first ‘find my phone’ app on the play store. Where’s my Droid comes with the usual options like ringing your device, locking it with a custom message and notifying when the SIM card is changed. There is a Stealth mode which hides all the incoming texts behind a customizable attention word which alerts that the phone is either lost or stolen. 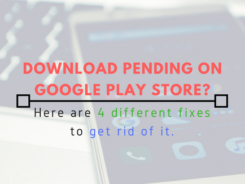 The app also has a pro version with some advanced features like taking pictures, hide the app icon, preventing the app from being uninstalled and more. What to do if none of the above works? So by now, you’ve tried your luck with google but still, your phone is nowhere to find. You even gave third party apps a shot and none of them worked. What to do now? It’s time to take action. Here are all the things which you must do. 1. 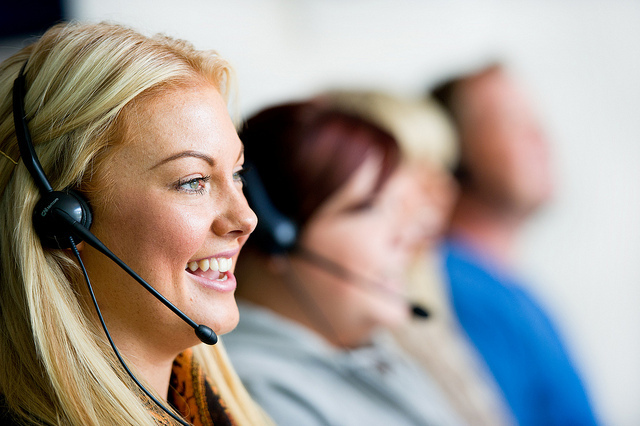 Contact your network service provider: First and foremost thing which you must do, in this situation, is to get in touch with your network service provider, inform them about your lost phone and ask them to block your number. This way you can be sure that your number is not misused in case someone else finds your phone. 2. Change your passwords: When your phone is lost, all of your social and professional profiles are at a risk of being misused. To avoid it, you must change your Gmail, Facebook, Twitter, net banking or other sensitive accounts’ passwords as soon as possible. 3. File a complaint with the police: Yes. If you are lucky enough, you might find your missing phone. Moreover, if you have insured your phone then the insurer might want to take a look at the police report to confirm the genuinity of your claim. 4. Report to your insurance provider: If you have smartphone insurance, then it is wise to report your insurance provider about your missing phone as soon as you realize that you’re not getting back your phone. How to be prepared for such situations in the future? Obviously, your phone won’t warn you before it gets lost or stolen. Phones aren’t that smart yet. So, it is always better to be prepared beforehand. By being prepared I mean preparing your phone in such a fashion that it becomes easier for you to get back your phone – safe and secure. Remember this! 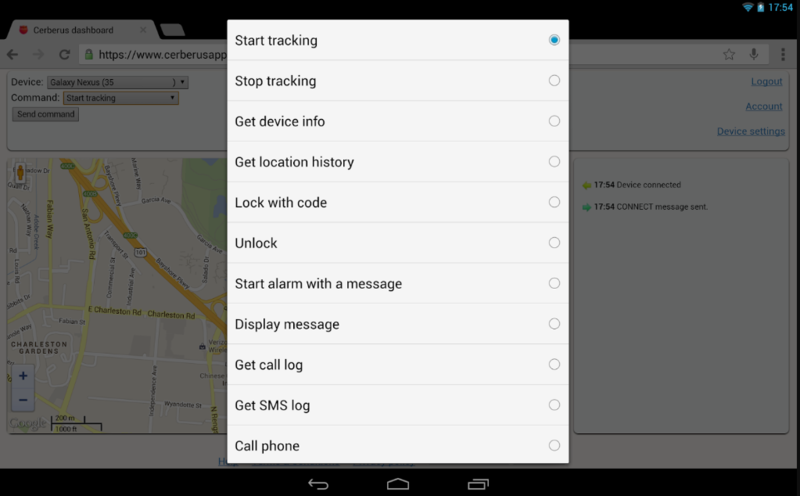 Android Device Manager (ADM) is your best hope if you ever lose your device. But, it will work only if you’ve activated ADM on your device prior to losing it. If you haven’t activated it yet, go ahead and activate it right away. 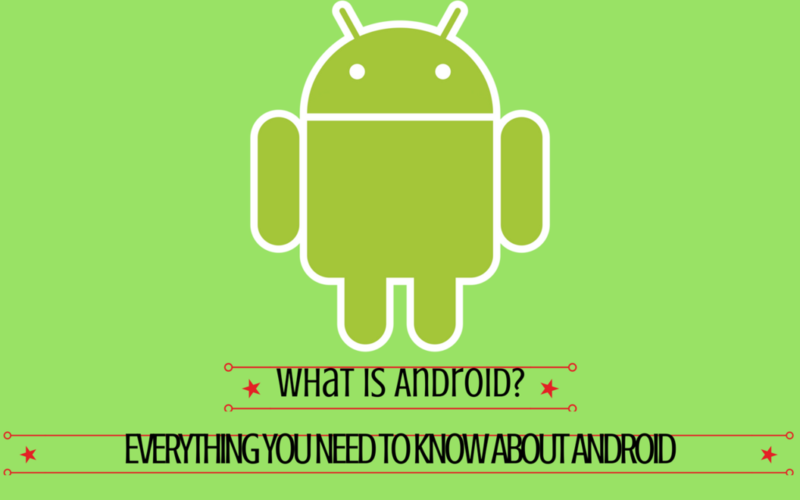 Don’t know how to activate Android Device Manager on your phone? Here’s how you can do it. a. Head over to your phone’s settings, find ‘Security‘ and tap on it. b. Look for ‘Device Administrators‘ and tap on it. c. Make sure that Android Device Manager is ‘checked’. If not, then open it and tap on activate. d. Now go back to your phone’s settings and tap on ‘Location‘. e. Right at the bottom, you’ll find ‘Google Location History‘, tap on it. f. Turn on both the switches – the one just beneath ‘Location history’ and the one alongside your device. 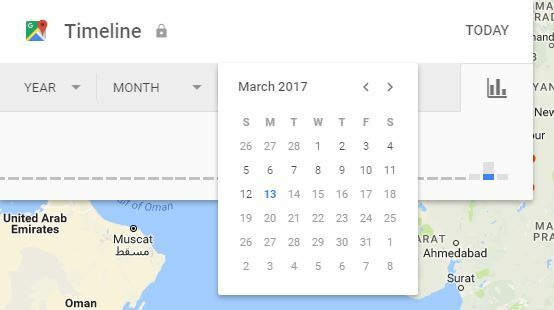 Now that you’ve activated ADM and turned on Location History, it will be a cakewalk to locate your device through Google. I’ve praised ADM throughout this post and it is worth it. 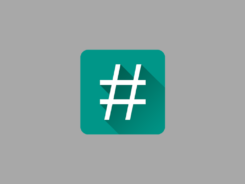 But there are some great tracking apps on the Google Play Store with some great abilities, which even ADM doesn’t have. 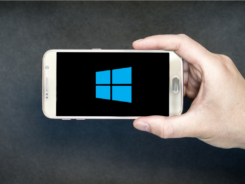 I’ve already listed some of the best apps above in this post so I am not going to point them out again here. What I am trying to say is there is no harm in having a good tracking app installed on your phone. It won’t take more than 50MB of your internal storage. For the app to work, it should be installed on your phone before it goes missing. You have to act first. Better safe than sorry. I am sure most of you have PIN or password-protected lock screen. Good. It’s good to have an extra layer of security on your phone. But for those of you who doesn’t have a protected lock screen, take my advice and keep a PIN or a password to unlock your phone. It would do you the world of good if you happen to lose your device in future. 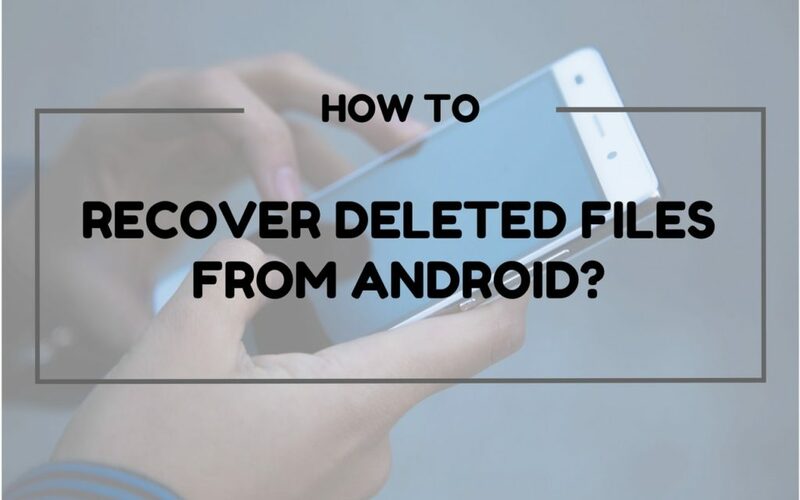 It will be difficult for your phone’s finder to access your phone to turn off the cellular network or deleting your Gmail account or even factory resetting it. 1. My phone doesn’t have an active internet connection. Can I still track it? Sorry folks, it is not possible. An active internet connection is necessary. Only then, ADM or a tracking app will work. In this situation, Location History can come up with a little help. 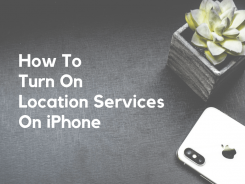 It will save the location where your device lost connection to the Internet, provided that Location History is enabled on your phone. 2. What if the thief factory resets my phone? Forget about getting back your phone. Yes, this is the answer. Neither ADM nor any tracking app will be able to help you in this case. Your phone must be connected to your google account. Only then you can even think of tracking your lost phone. 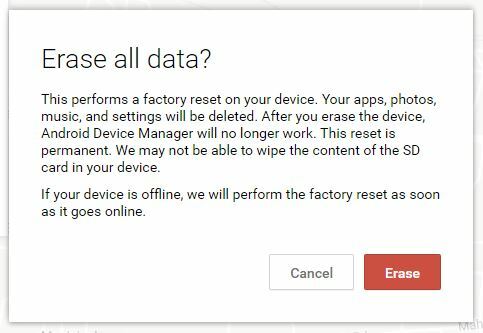 Factory resetting will remove everything from your phone, including your google account. 3. What if the thief changes the SIM card? It doesn’t matter. Removing the SIM card or changing it, you would still be able to track your phone. Changing a SIM card will not remove your google account. In this situation, the only thing which you need to be worried about is an internet connection! Have you ever been in a similar situation? Did you get your phone back? How did you get it back? Let me know in the comments! And don’t forget to share this post with your family and friends on Facebook, Twitter, Google+ or wherever you like. 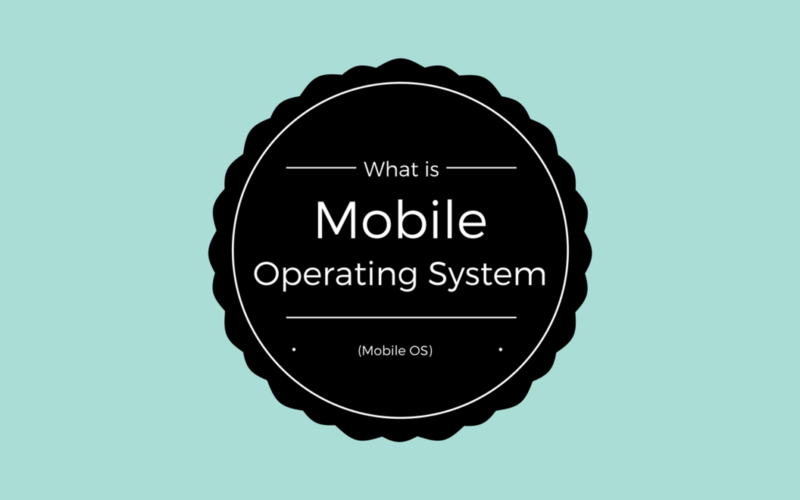 This feature was in Apple phones, but great to hear as it came on Android Devices also. Great tips, hope I never have to use it 🙂 But it sure is helpful. Cheers! Great info. After years of just taking hand me down phones from family members, last month I bought and iphone 7 plus and am l slightly paranoid bout losing it. This information comes in very handy for me. Really hope that I don’t lose my phone, but good to know, thanks! Wow! I didn’t know Google would become my best friend after this post! The next time I lose my phone, hopefully not any time soon, I’ll make sure to use your advice! Awesome tips! I have lost my phone before and definitely could have used this! I’ll be bookmarking your article for sure! I think the ADM(Android Device Manager) feature is very helpful in tracking the lost phone.But what if the thief has signed out of our account from that phone? Is it possible to track the phone with the help of third party cookies?Thank u. No. If the thief is smart enough to remove the google account from the device then Android Device Manager won’t be able to help you.